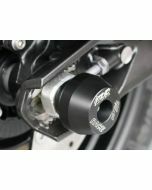 GSG Mototechnik Swing Arm Spool Sliders function as a paddock stand adapter and a rear axle slider. 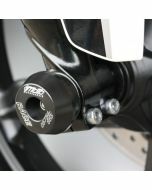 Designed to allow your bike to be propped up on a racing stand while simultaneously protecting your bike’s swing arm from damage. 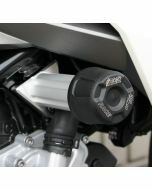 Spools are machined from a solid block of Delrin and designed exclusively for the BMW G 310 R. Easy installation.